A couple of weeks ago, I attended the combined Pumper/Cleaner Expo and the SSPMA Convention in Indianapolis. The Pumper/Cleaner Expo focuses on septic and sewer systems of all sizes, while the SSPMA is the Sump and Sewage Pump Manufacturers Association. The combined show is huge, with over 10,000 attendees over several days. As a first-time attendee, I was amazed at the size, breadth, and sophistication of the industry. On display was everything from hazmat suits to wireless sewer inspection robots that look just like the Mars Rover. But, what impressed me the most was the amount of pride the entire convention and its attendees exuded about their industry. I wear many hats to serve my customers. I’m part technician and part scientist. I’m a welder, fabricator, and truck driver. 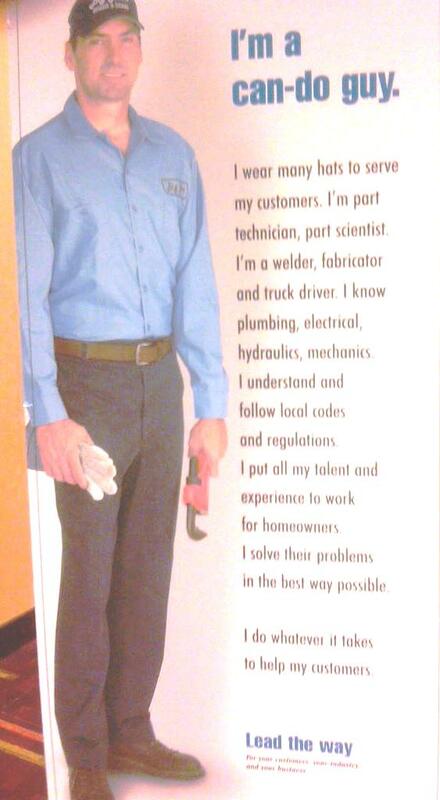 I know plumbing, electrical, hydraulics, and mechanics. I understand and follow local codes and regulations. I put all of my talent and experience to work for homeowners. I solve their problems the best way possible. I do whatever it takes to serve my customers. This convention may have been about the wastewater side of things, but without changing a word, the above could have come from any cleanwater systems contractor. I couldn’t have said it better myself.